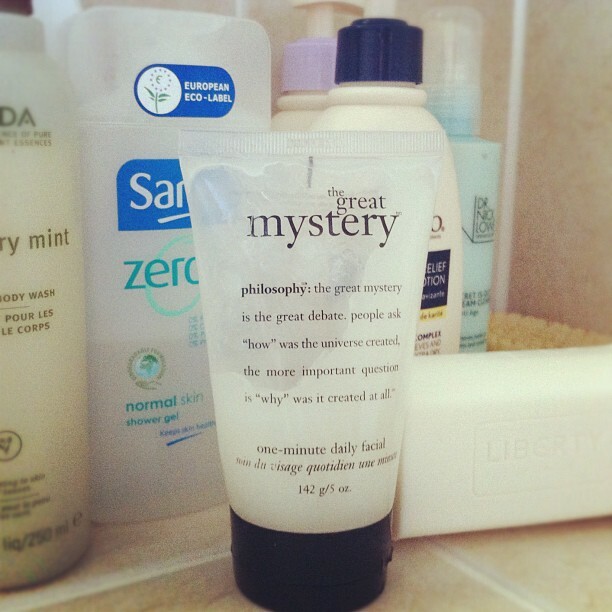 Whenever I go and stay at my mum's, I make sure I pinch a bit of her "The Great Mystery" face mask, by Philosophy. This is one of the best face masks I've ever used. And one of its best points? You only leave it on for 60 seconds. So no walking around with goo on your face for 20 minutes, waiting for the thing to dry. 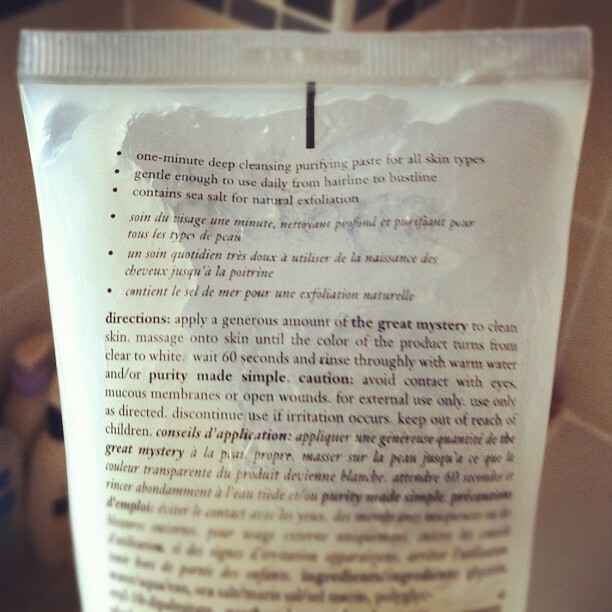 You can use it in the shower - smooth it on, and feel the mask warm up on your face, and massage it in until it turns white. Then leave on for one minute, and rinse off. It gets rid of any dry, flaky skin, leaving your skin looking brighter and fresher. This mask deep-cleanses and moisturises your skin, and your make-up goes on much better after using it. A real hero product.